Here is a guide to essential gear that you will need to get started in MMA. All the gear recommended here are much better than items you would buy at your average sporting goods or department store, but at a comparable price. Remember, the most important thing is SAFETY. I know a few people who don’t use a cup or mouthguard, which is not smart, considering this is a full-contact sport. Also, all competitions require at least a cup and mouthguard, grappling and striking from professional leagues to local tournaments. The Shock Doctor mouthguard is a popular choice and we feel it is one of the best quality for a small price. If you continue with training and your skill level increases, you will eventually need a custom guard. However, the Shock Doctor will be sufficient for beginners, since you will not be doing heavy sparring. Shock Doctor controls this category also. With a compression short instead of a strap, their system is very comfortable and durable. While there are some other more expensive systems out there, like the Nutty Buddy, we recommend the shock doctor for beginners as it is more affordable, simpler, and more commonly used. Although many people train in athletic or gym shorts, MMA shorts are much more comfortable, have a better draw string, and usually include split seams for increased mobility or flex panels to help with the execution of MMA techniques. Sprawl makes an excellent MMA short, they are built specifically to be durable and resistant enough for the most intense grappling and striking. They also feature the essential elements of a quality fight short: a mouthguard pocket, a very secure drawstring and Velcro closure, and split seams. MMA Rashguards make training much more enjoyable than a t-shirt does. 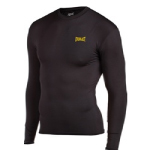 Rashguards don’t stretch out and also wick away sweat – it’s NOT fun training in a loose, soggy t-shirt. MMA Rashguards are designed meant to be worn snug to your body, like a second skin. The fabric is also extremely durable to roll on the ground for juijitsu and grappling. Some of the top of the line Rashguards have special features like antimicrobial coating, but are priced too high for beginners. Everlast makes an excellent basic MMA rashguard that is comfortable, durable and VERY affordable at a half the price of other brands. All these choices are a great for starting out in MMA. While not the absolute best gear available, we recommend them due to their high quality but low affordable prices. 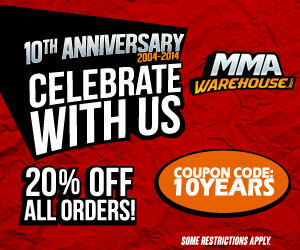 Check out MMAGearGuide.com for our upcoming article covering the 10 Best MMA gear, where price is no object. Note: Headgear, shin pads, mma fight gloves (competition) are not covered here because usually your gym should have this to borrow. 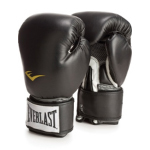 It is not that important to have these of your own since you are just starting MMA. Brazillian JiuJitsu Gi’s were not covered since its not absolutely crucial to MMA. If you would like to purchase your own Gi, however check out article on How to choose your own Brazilian JiuJitsu (BJJ) Gi , it has complete breakdown of what to look for and FAQ.